Blue Haze is a modern update to the much loved Imperial Blue collection infusing our unique glazing techniques with clean contemporary shapes. 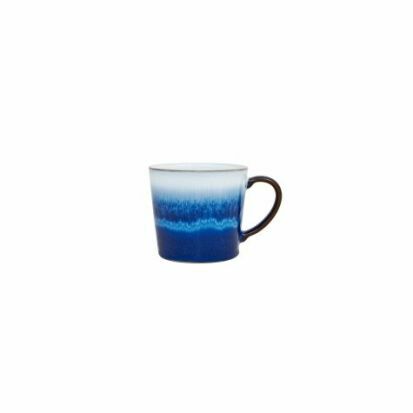 The stunning Blue Haze reactive glaze speckled against the pure white captures the true expertise of our Denby potters and are tough enough for everyday and stunning enough for best. The Blue Haze collection is hand crafted with locally sourced clay, expertly glazes giving it strength and durability.